Visiting Yoshinogari Historical Park and Chimachibo Park will get you outdoors. Satisfy your inner culture vulture at Karatsu Castle and Saga Castle History Museum. Explore Fukuoka's surroundings by going to Nijino Matsubara (in Karatsu), Iki (Tatsunoshima Island Beach, Irukahana (nose of dolphin), & more) and Saga 21 Century Kenmin no Mori (in Saga). 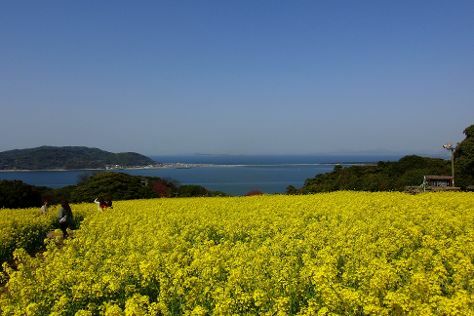 There's still lots to do: head off the coast to Nokonoshima Island, contemplate in the serene atmosphere at Kushida Shrine, take in panoramic vistas at Fukuoka Tower, and let the kids burn off some steam at Uminonakamichi Seaside Park. For maps, more things to do, other places to visit, and other tourist information, use the Fukuoka trip builder. New Delhi, India to Fukuoka is an approximately 13.5-hour flight. You'll lose 3 hours traveling from New Delhi to Fukuoka due to the time zone difference. Traveling from New Delhi in March, you will find days in Fukuoka are colder (16°C), and nights are a bit cooler (7°C). Finish up your sightseeing early on the 16th (Thu) so you can catch the train to Kitakyushu. An important gateway for trade and travel between Honshu and Kyushu, the city of Kitakyushu has an old industrial waterfront and provides access to a number of natural sites across the wider region. 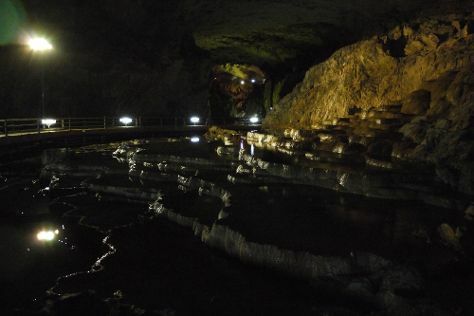 You'll explore the less-touristy side of things at Akiyoshi Limestone Cave and Tsunoshima Ohashi. Get in touch with nature at Kanmon Kaikyo and Beppu Bentenike. Venture out of the city with trips to Akiyoshidai Karst Observatory (in Mine), Usajingu Shrine (in Usa) and Shimonoseki (Kanmon Bridge, Karato market, & more). There's still lots to do: take a stroll through Mojiko Retro, find something for the whole family at Space World, make a trip to Ruriko Temple Five-Story Pagoda, and step into the grandiose world of Kokura Castle. To see other places to visit, maps, reviews, and tourist information, read our Kitakyushu travel itinerary planner. Kitakyushu is just a stone's throw from Fukuoka. In March, daily temperatures in Kitakyushu can reach 14°C, while at night they dip to 7°C. Finish up your sightseeing early on the 23rd (Thu) so you can catch the train to Hiroshima. You'll explore the less-touristy side of things at Mount Misen and Dogo Onsengai. Satisfy your inner culture vulture at Miyajima and Yamato Museum. Change things up with these side-trips from Hiroshima: Hatsukaichi (Daishoin Temple, Mikasahama Beach, & more), JMSDF Kure Museum (in Kure) and Matsuyama Castle (in Matsuyama). The adventure continues: examine the collection at Hiroshima Peace Memorial Museum, take in the pleasant sights at Kintai Bridge, take in nature's colorful creations at Shukkei-en Garden, and admire all the interesting features of Mazda Zoom-Zoom Stadium Hiroshima. To find ratings, reviews, where to stay, and tourist information, you can read our Hiroshima trip itinerary planner. Traveling by train from Kitakyushu to Hiroshima takes 1.5 hours. Alternatively, you can drive. March in Hiroshima sees daily highs of 16°C and lows of 6°C at night. Finish your sightseeing early on the 31st (Fri) so you can travel to Onomichi. Get in touch with nature at Okunoshima Island and Mt. Shirataki. Popular historic sites such as Imabari Castle and Fukuyama Castle are in your itinerary. 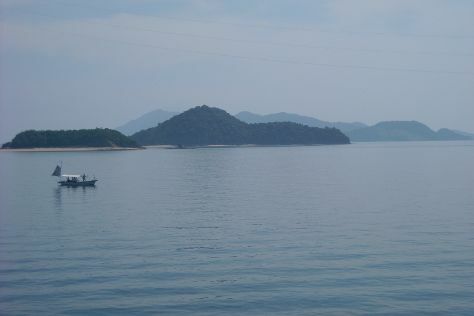 Change things up with these side-trips from Onomichi: Imabari (Mt. Kiro Observatory Park & Kurushima Straits Observation Hall), Tomo no Ura (in Fukuyama) and Kamegamori Forest (in Saijo). 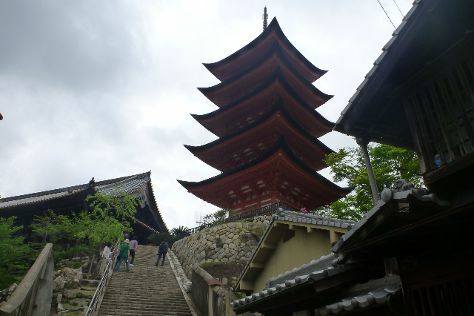 There's much more to do: take in the spiritual surroundings of Senkoji & Senkoji Park, take some stellar pictures from Mt. Senkoji Ropeway, take in the awesome beauty at Mt. Hiruzen, and trek along Mt. Unpenji. For other places to visit, maps, where to stay, and tourist information, use the Onomichi holiday planner. Drive from Hiroshima to Onomichi in 1.5 hours. While traveling from Hiroshima, expect little chillier days and about the same nights in Onomichi, ranging from highs of 13°C to lows of 3°C. Finish up your sightseeing early on the 6th (Thu) so you can travel to Okayama. A major transit hub in western Japan, Okayama provides a convenient mid-point between Kyoto, Osaka, and Hiroshima. Discover out-of-the-way places like Kompira-gu Shrine and Ohara Museum of Art. Get in touch with nature at Naoshima and Rashomon. Change things up with these side-trips from Okayama: Kurashiki (Kurashiki Bikan Historical Quarter, Oharake Jutaku, & more), Marugame (Marugame Castle & Kameyama Park (Marugame Castle)) and Bizen (Katatetsu Roman Cycling Road & Hinase Islands). There's still lots to do: step into the grandiose world of Okayama Castle, explore the world behind art at Chichu Art Museum, tour the pleasant surroundings at RSK Bara Garden, and contemplate the long history of Nishie Residence. For maps, other places to visit, reviews, and tourist information, refer to the Okayama trip generator. You can drive from Onomichi to Okayama in 1.5 hours. April in Okayama sees daily highs of 20°C and lows of 9°C at night. Wrap up your sightseeing on the 14th (Fri) to allow time to take a train to Kyoto. Take a break from the city and head to Philosopher's Walk and Lake Biwa. Gion and Sanjusangendo Temple are good opportunities to explore the local culture. Explore the numerous day-trip ideas around Kyoto: Hikone Castle (in Hikone) and Miyama Town Nature Cultural Village (in Nantan). 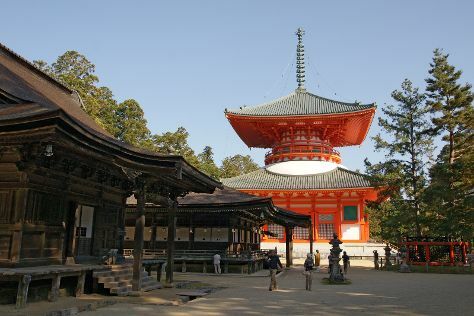 There's lots more to do: steep yourself in history at Fushimi Inari Taisha, contemplate the waterfront views at Kamogawa River, take a stroll through Pontocho, and take in the spiritual surroundings of Ninna-ji Temple. To find more things to do, photos, and more tourist information, refer to the Kyoto holiday planner. You can take a train from Okayama to Kyoto in 1.5 hours. Alternatively, you can drive; or do a combination of train and bus. In April, daily temperatures in Kyoto can reach 22°C, while at night they dip to 11°C. Wrap up your sightseeing on the 23rd (Sun) early enough to take a train to Nara. Tōdai-ji and Iga-ryu Ninja Museum will appeal to history buffs. Get a sense of the local culture at Nara Park and Wakakusa Hill. Explore Nara's surroundings by going to Akame Shijuhachi Waterfall (in Nabari), Kamikitayama-mura (Mount Odaigahara & Odaigahara) and Tanizeno Tsuribashi (in Totsukawa-mura). 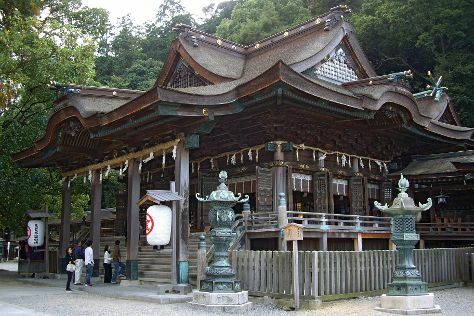 There's much more to do: take in the spiritual surroundings of Kasuga Grand Shrine, get outside with Mt. Yoshinoyama, and steep yourself in history at Naramachi. To see other places to visit, reviews, and more tourist information, refer to the Nara custom trip planner. Nara is just a stone's throw from Kyoto. In April, daytime highs in Nara are 22°C, while nighttime lows are 15°C. Finish up your sightseeing early on the 29th (Sat) so you can go by car to Osaka. Get some cultural insight at Osaka Castle and Minami (Namba). Okunoin and Matsuzakagyu Yakiniku M, Hozenji Yokocho will appeal to history buffs. Explore Osaka's surroundings by going to Mount Koyasan (in Koya-cho) and Kobe (Kobe Harborland, Kobe Port Tower, & more). Next up on the itinerary: take a stroll through Dotonbori, get great views at Tempozan Ferris Wheel, shop like a local with Shinsaibashi, and meet the residents at Osaka Aquarium Kaiyukan. To see photos, maps, where to stay, and other tourist information, go to the Osaka holiday planner. Osaka is just a stone's throw from Nara. April in Osaka sees daily highs of 22°C and lows of 15°C at night. Wrap up your sightseeing by early afternoon on the 7th (Sun) to allow enough time to travel back home.